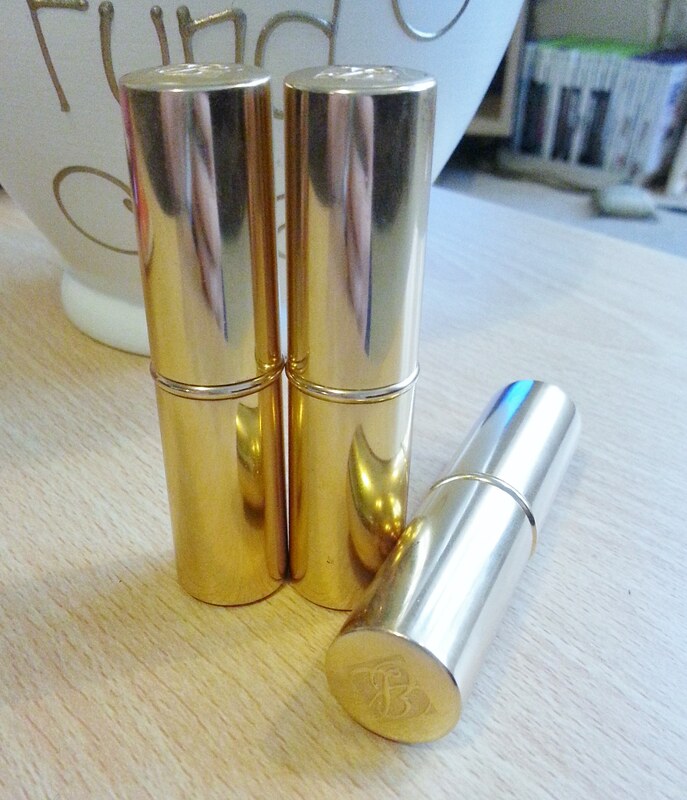 Estée Lauder trio lipsticks (old favorite). There was originally four and the fourth was a fantastic vibrant red. However these lipsticks all have a different tone to them. the far left is a more pink colour with a small hint of a sheen to it, the middle lipstick has a maroon colour to it so more of a muddy red which is perfect with a clear gloss over the top. And the far right is my favourite, it gives the colour of gold and has a sheen to it also, when I wear this lipstick it doesn’t make my lips bold but I love it. The shades are well named and are gorgeous. 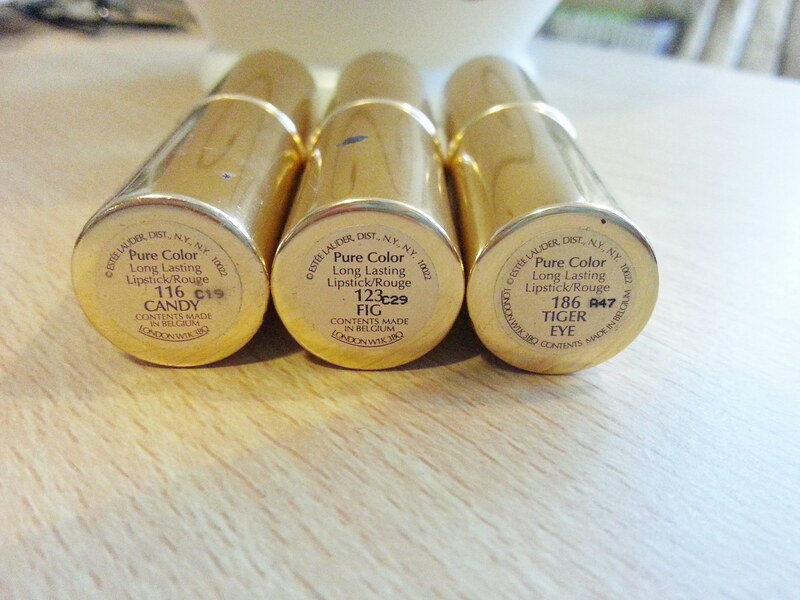 Left-Right we have: Candy, Fig and Tiger eye. 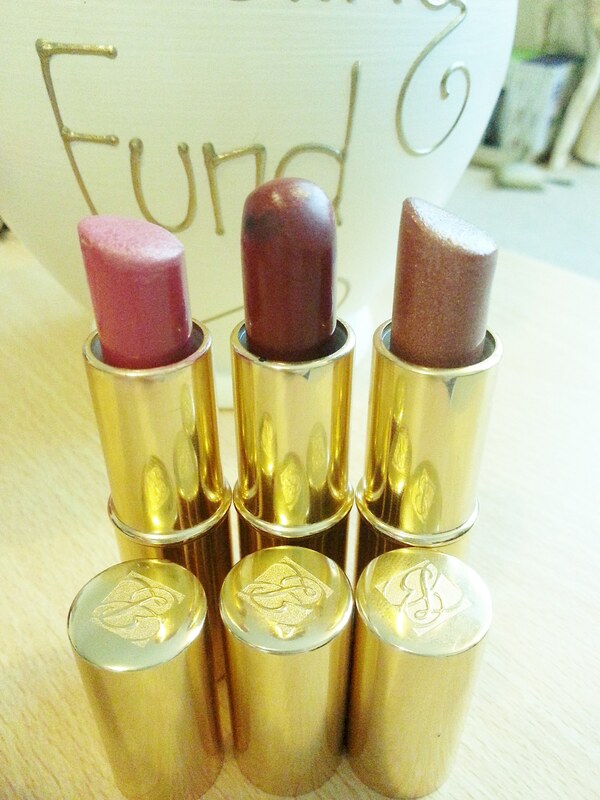 These lipsticks are moist and leave a perfect colour behind and I would definitely recommend these to you all to try. Don’t forget to follow me the links are in the side bar under my profile pic. Hopefully more posts will be coming soon. LUSH: Cupcake face mask review.